All packages include direct flights with Sunwing Airlines, with convenient weekend departures available from up to five Canadian gateways this winter including Toronto, Montreal, Quebec City, Ottawa and Winnipeg. Beginning January 2, 2016, running through March 26, 2016, Sunwing Vacations will offer 7-night fly/cruise packages on board Norwegian Escape to explore the Eastern Caribbean where varied ports of call range from the lively capital of the Bahamas, Nassau, to the sleepy British Virgin Island of Tortola. Highlights of the 7-night Western Caribbean fly/cruise itinerary (available from January 3, 2016 until March 27, 2016) on board Norwegian Getaway include the white sand beaches of Ocho Rios, Jamaica and the divers' paradise island of Cozumel just off Mexico's fabled Riviera Maya. 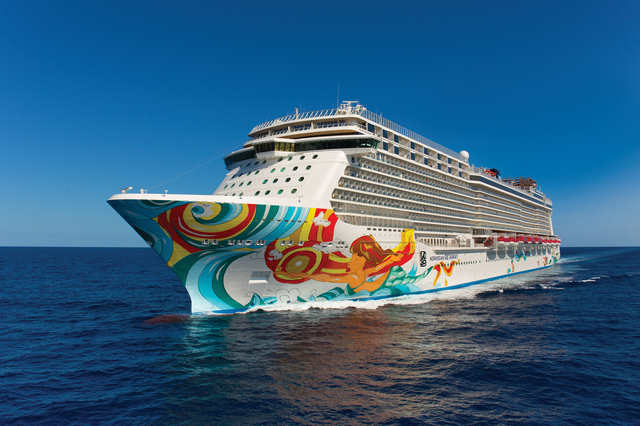 When sailing on multiple award-winning Norwegian Cruise Line® vacationers will travel in comfort and style on board some of the newest and most sophisticated ships at sea. The first cruise line to introduce a Freestyle Cruising® concept (offering guests the option of no fixed dining times or pre-assigned seating), their fleet of 14 purpose-built cruise liners also feature world-class restaurants, shopping and entertainment, together with full-service spas, fitness centres, and supervised kids and teens clubs. Sports complexes outfitted with multi-purpose courts and ropes courses will keep even the most active traveller busy, while water parks featuring multi-storey waterslides and swimming pools are perfect to cool off in. Well-appointed staterooms with sweeping ocean views and balconies offer an ideal retreat to relax in after a day of exploring the Caribbean islands. With Sunwing Vacations, cruise vacation planning could not be simpler as all Norwegian Cruise Line® packages include port transfers and direct, roundtrip flights with Sunwing Airlines along with a generous complimentary 23 kg checked baggage allowance. Once on board, travellers can sit back and Experience the Difference™ of their award-winning on board service to start their vacation off in style. A one-week all inclusive cruise package on the Norwegian Getaway starts from $595 plus $657 taxes with the instant savings offer, based on double occupancy of an Interior Stateroom and departing from Toronto on January 3, 2016 (Western Caribbean itinerary). For more information visit www.sunwing.ca or contact your local travel agent. All Sunwing Vacations Florida fly/cruise packages benefit from direct, roundtrip flights with Sunwing Airlines, where customers are invited to sit back and Experience the Difference™ with award-winning on board service which includes unlimited non-alcoholic beverages, hot towel service, in-flight entertainment, including first run movies, and a generous complimentary 23 kg free baggage allowance. For just $50 more per flight segment, travellers can upgrade to Sunwing's Elite Plus service, which features advance seat selection, complimentary headsets, separate check-in at a majority of airports, advance boarding, 30 kg baggage allowance, priority baggage handling, and extra legroom seats.